No veggies to see here. It was the Spicy Buffalo Pita that really sold me, though. 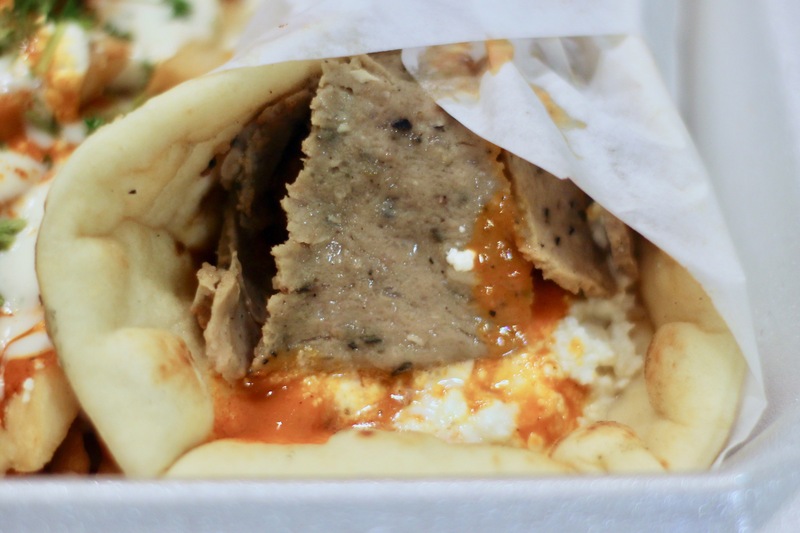 I opted to fill the pita with gyros for my meat, which also included feta cheese and house made buffalo sauce. Perhaps most importantly it included nothing else – as in no veggies. I also got the Spicy Feta Fries on the side, which were like the sandwich, but with fries instead. The result was everything it needed to be. The gyros themselves were delicious, tasting like pretty much all other gyros, but also nice and juicy. Most importantly, the buffalo sauce and feta added a delicious dimension that I had never previously eaten with gyros before. It was spicy, but also flavorful. And then there was the feta to cool things off and bring the pita back down to earth. 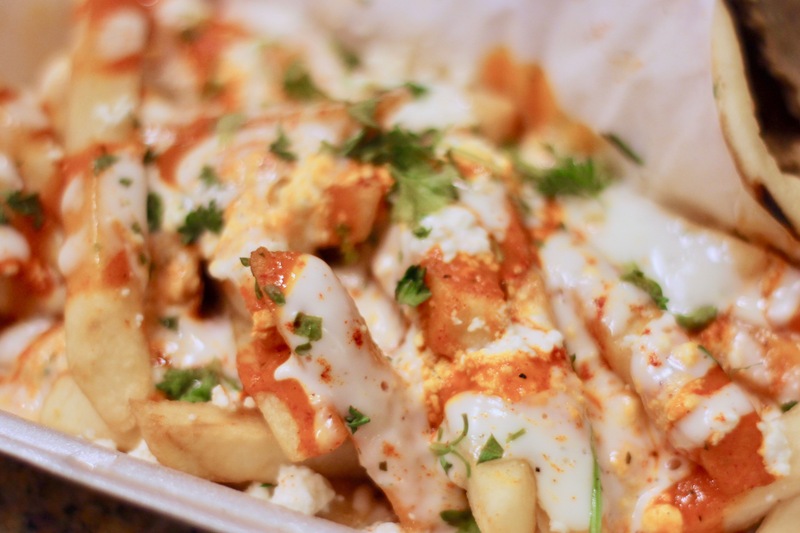 The same went for the fries which, again, were just the exact same feta and buffalo sauce from the pita, but on fries. There’s not much more to be said for them aside from, well, there is no such thing as too much buffalo and feta (obviously unless the food was doused in a way that would have made it all soggy). 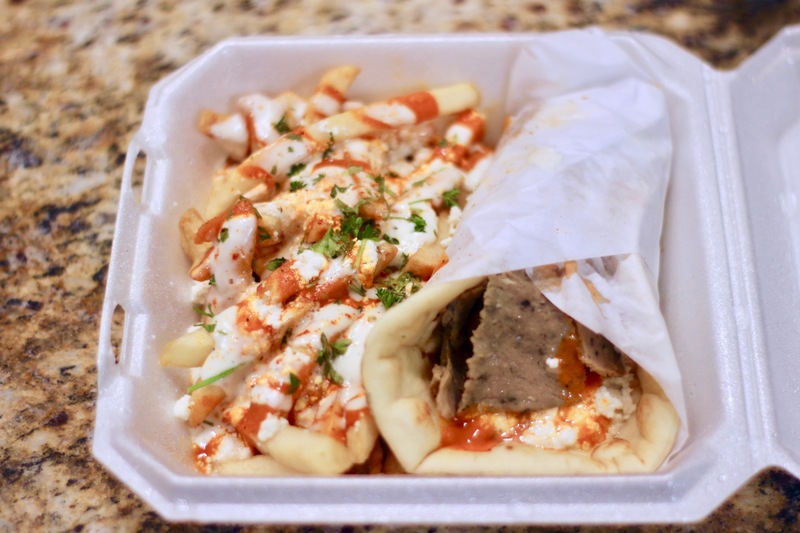 I definitely want to get back to Saba’s to try something more along the traditional Hellenic route, but for now I can say I am quite happy with the results of combining the culinary delights of the forerunner of Western civilization and the Rust Belt.